That’s like musings on news…not “news” in the political sense, news in the sandpit kinda sense. I have a few updates on things you might like, especially if you live in the SE11 area…so here they are! 1) Crazy Chimps has an opening date. Whoop! We’ll be sneak previewing it on 14th April and it’ll be open to the public on 18th April – check their website for more info. 2) Victoria Tower Gardens has a new playground coming! As I may have mentioned before, the playground is a bit underwhelming and it’s a prime location for something more impressive, given its proximity to the Houses of Parliament. There’s something wooden being built, so chances are it’ll be a more natural type playground. 3) There’s an exciting-looking new bakery/cafe/deli (pictured above) in a previously empty unit on Kennington Rd, opposite Pizza Express. It’s called Sally White, I think and there are a few more pics here. 5) Next week, I’m inexplicably turning Estate Agent. Yes, I’m going to stop telling you where to go for the day and start telling you where to live instead (nb I’m not actually becoming an estate agent. I have many sidelines but homes aint one). For 7 days, I will be running a series on “Where to live in London with a toddler” featuring some local wisdom. It might be quite South-London centric but that’s what you get for taking advice from a South Londoner. Think that’s it for now….more adventures coming soon, promise! This entry was posted in What I suppose you'd call "tips"....? 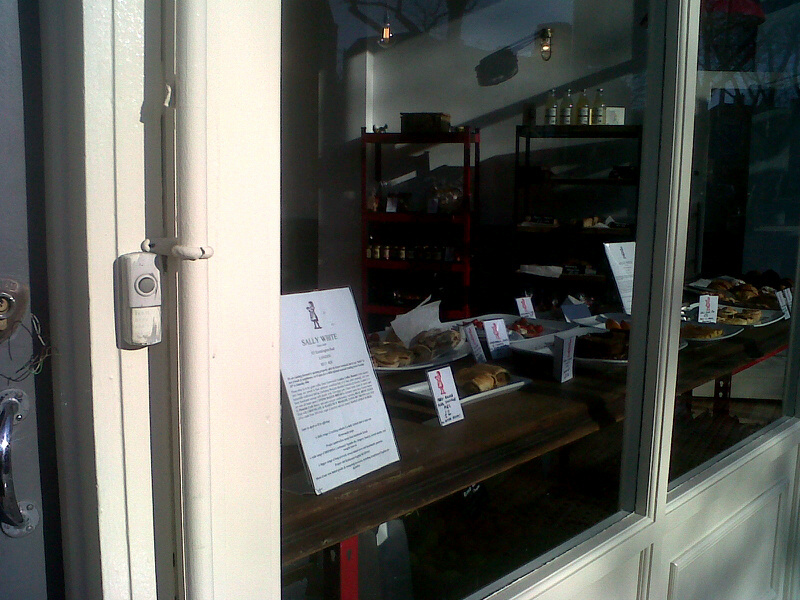 and tagged bakery, cafes, Central London, deli, news, softplay, South London. Bookmark the permalink.